The days of simply spooling up a reel with whatever line your grandfather had laying around are long gone. In today’s day and age, like just about everything else, science has made its way into the fishing world and boy has it really made an impact. What used to be the industry standard, even 5 years ago is now outdated or even obsolete. Science is altering the way angler get the job done on an almost continual basis and fishing line is no exception. Making line that can cut through the water like a knife but remain completely transparent and translucent is the new standard. Whether you’re fishing with mono, braided fishing line or fluorocarbon, you can trust that a lot of time, energy and resources went into making that line as strong and durable as possible. 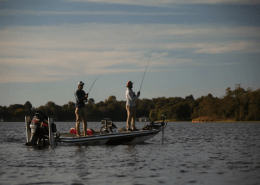 Fluorocarbon line is used for many different situation but regardless the type of fishing you plan to do, you need to make sure you can trust the line you’re using. This is where we come in. We’ve tested and reviewed countless fluorocarbon fishing lines and we’ve put together this list of the top fluorocarbon lines currently one the market. If you’ve been wondering, “What’s the best fluorocarbon line for bass?”, “What’s the best fluorocarbon line for spinning reels?”, or you’re just looking for fluorocarbon fishing line reviews then you’re in luck! Here are our pick of the 5 best fluorocarbon fishing line for the money in 2019. 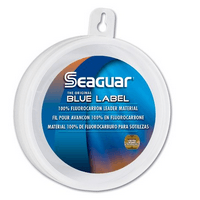 The Seaguar Blue fluorocarbon line is specially designed as a leader and is able to withstand a high about of impact and abrasion. The tensile strength of this leader is very high when knotted correctly. It has a low memory as well as great castability. As fluorocarbon can be tricky to knot, it is important that you wet the line first and try out multiple knots in it before you find the one that works best for you. This may not be the same knot that works on monofilament! Once you’ve found one that works well, you’ll be surprised at the strength that such a thin line can deal with, its one of the best fluorocarbon leaders. You won’t have to worry about it snapping off. This line is fast sinking and almost invisible when it is in the water meaning that the fish won’t detect its presence. While it is more expensive compared to monofilament, it is a necessity when catching fish with superior eyesight. 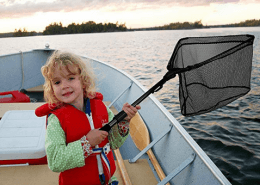 It can crimp easily, so that is something to watch out for, however you’ll start to get more and more bites once you change to a leader that is undetectable in the water, even on a very calm day. 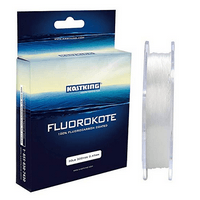 The KastKing FluroKote fishing line is almost invisible when it is under the water. This is because of a combination of the copolymer line with a flurocarbon coating that makes the line. 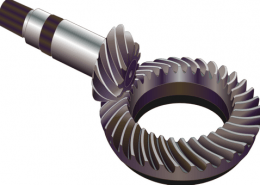 Combining these two materials means that the line has lower memory but superior castability to regular copolymer. It is a much thinner line than monofilament however is just as strong. It can be difficult to tie knots in FluoroKote when you first start using it – just make sure that you keep the line wet and try out different knots – you’ll soon find the one that works best for you, not to mention its one of the strongest fluorocarbon line currently out there! Once you do you’ll find that this line has a very high knot strength and won’t snap. This line has a low stretch but high strength. 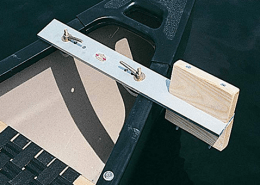 It is one of the cheaper lines on the market, so results can be a little inconsistent, and it can be prone to abrasion. However it sinks fast with a low absorption, so throw this on your baitcasting reel next time and give it a go. 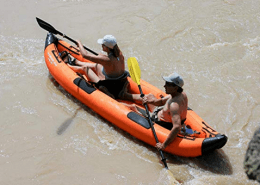 It is also a lot less expensive than other lines, so worth using if only has a leader due to its undetectability when in the water. 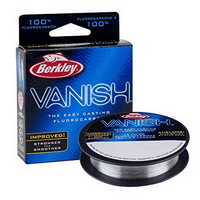 The Berkley Vanish Fluorocarbon Line isn’t made of a copolymer but of 100% fluorocarbon. Due to this, Vanish line refracts light in a similar way to water – making it invisible when it is submerged. 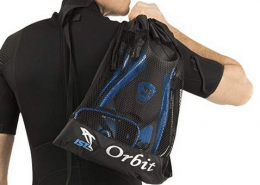 This line also has a great strength when wet and performs well in the water. While it is prone to some abrasions, it makes a fantastic leader line due to it’s low price and invisibility in the water. It has a great knot strength when wet so you’ll never need to worry about this line snapping due to the knots you’ve tied. Practice with knots is recommended however if you have never used a 100% fluorocarbon line before, as it will perform differently, it might be the best fluorocarbon line for spinning reels. It is flexible, and very easy to cast as it is much thinner than other lines designed for the same weight. It also has 20% better shock strength. This line comes in a 110 yard spool, so you’ll get a lot of fishing time out of just one spool. Overall, for the price, this line performs much better than expected, and the fish won’t even know that it’s there. Fluoropro by Fishungsir was created to provide anglers with an alternative to full fluorocarbon lines which can be more expensive. This fishing line is made by combining two materials. It has a copolymer core and is coated in pure fluorocarbon that means it refracts light similarly to water. This means that it is nearly invisible when it is submerged. Not only is this line less expensive than pure fluorocarbon, it has a high tensile strength for it’s size. This small diameter but high strength ratio means that once knotted it won’t snap and gives great swimming and depth to all fishing lures. 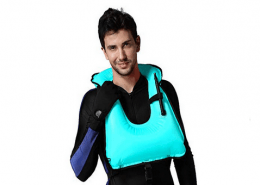 It also has abrasion resistant technology and minimal stretch. As it isn’t made of full fluorocarbon, it does tend to twist slightly more, however it is a great alternative. 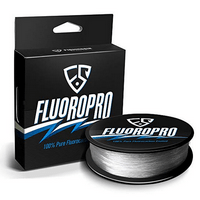 FluroPro is up to 6 times as strong as regular monofilament. It also has superior castability due to its light weight and sinks quickly, making it a great leader. 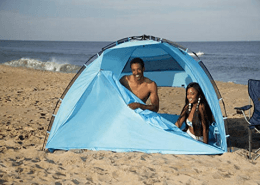 As it’s almost undetectable when in the water, it is perfect for catching fish with sharp eyesight. Due to its lower price, there’s also no reason why it can’t be used all of the time. 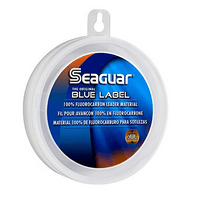 The Seaguar Blue fluorocarbon line is specially designed as a leader and is made of double structure fluorocarbon. It is a fast sinking line with a very high tensile strength when knotted. Even though it is ultra-thin, when this leader is knotted correctly nothing will cause it to snap and you will be able to do battle even with the biggest of fish. 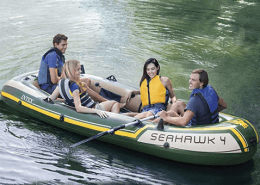 This line is abrasion resistant and can withstand multiple impacts and scraping along the lake bed. While it is prone to crimping at times, it won’t fray and snap. It is fast sinking, has a low memory, and great castability even with heavy lures making it great for crappie or bass fishing. Having this line as a leader will ensure that all of your lures to sink and swim as designed. As it is 100% fluorocarbon, it refracts light in the same way as water, meaning that it is invisible when it is submerged. This puts you at an advantage when this line is used as a leader as even fish with the best eyesight won’t be able to spot it. While it is on the expensive side, the quality is worth it as it has very little stretch, but tons of strength.